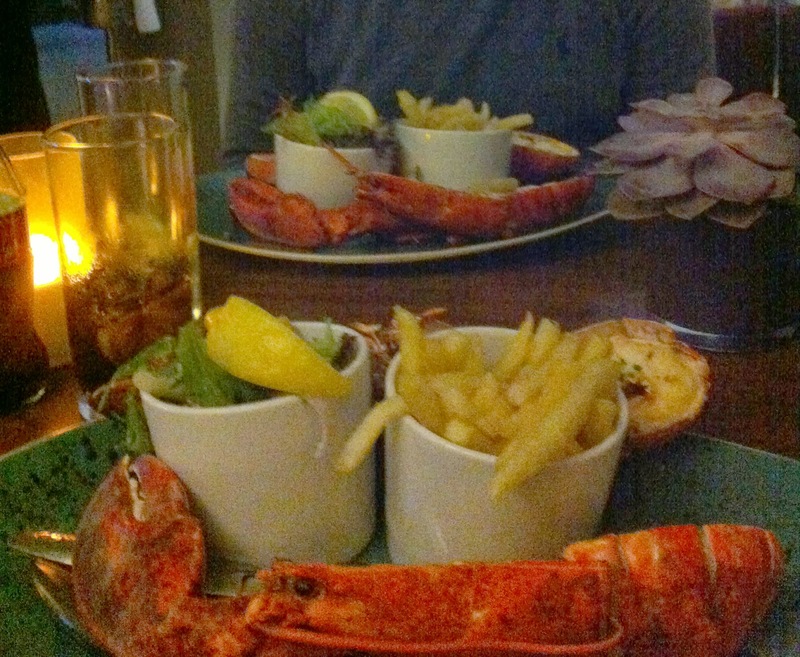 Alto Steak and Lobster at the Radisson Edwardian Hotel in the city is one of our favourite haunts in Manchester. On the nights where we fancy a no nonsense meal out, this is definitely the place to go. With only two mains on the menu: Steak or Lobster (narrowed down by the halal card to just lobster) it’s a sure fire way to an efficient evening meal. The only thing you really need to choose is how you want the lobster cooked and whether you want any of the starters as an amuse bouche. Don’t let the simple menu fool you though, the quality of the lobster here is fabulous. Mo and I have been a couple of times and haven’t been let down. Each time we’ve been, as a couple and as a group, the lobster has been cooked to perfection and unlimited salad and chips as sides is genius and a perfect complementary dish. To top it all off main course comes in at £15 per person, which is pretty good value when you compare it to places such as Livebait. All the sauces are on the table ready to go to stop you having to pester the staff, but there is always someone on hand to check everything is going ok with the meal and to check up on any refills that might be necessary. Atmosphere is relaxed and cosy and a great place to go with friends or families. Our only bug bear is the plates, as beautiful as they are, your cutlery slides right off the edge so you might want to watch out for that! We’ve had a number of embarrassing cutlery incidents before we realised it was the plates rather than our clumsiness. Plates aside, definitely one to try!